Heute vor 50 Jahren nahm Sinatra seine ersten Songs für Capitol auf. Was für ein Jubiläum, und was für eine Schande, daß sich offenbar kaum jemand von den Offiziellen daran erinnert... wo sind die Retrospektiven und Sondereditionen? Ich poste mal ein kurzes Editorial (sorry, daß es auf Englisch ist) und die Session-Daten. Zur Erinnerung an den Auftakt zu einem legendären Kapitel Musikgeschichte. On Thursday, April 2, 1953, something happened at KHJ Studios, 5515 Melrose Avenue, Hollywood. Around 8.30 pm, 20 musicians plus an arranger-conductor met with a 37-years-old singer to put four songs down to record. Now that’s certainly nothing unusual to happen in a recording studio. And more likely than not, nobody of the participants would have thought this was something special, either. Well, maybe nobody but one: The singer himself. The singer was Frank Sinatra., the label was Capitol, and what got started fifty years ago today at Melrose Avenue would evolve into one of the most important periods in musical history. While the era of Swoon faded, The Voice re-defined himself as the best male interpreter of popular song, through albums like „Songs For Swinging Lovers“ and „Only The Lonely“, and above all, „In The Wee Small Hours“. These and other Sinatra works of the period have influenced generations of singers and thousands of instrumentalists alike, and through all the praise they rightfully received, and continue to receive, these albums are legends by their own today. Teaming up with Nelson Riddle, Gordon Jenkins and Billy May, to name his most important collaborators, Capitol Sinatra became a trademark. In nine years, the singer with his songs reached a level of quality that will never be equalled. It’s simply amazing to see the efforts Capitol undertakes today to celebrate the golden anniversary of who once was their most important vocal artist: It’s zero. Nothing. No special editions, no retrospectives. Not even a small announcement in the news section. This sounds unbelievable, but unfortunately, it’s the way it is. As of this morning, the „news“ in the section devoted to Sinatra at Capitol Records official homepage (http://www.hollywoodandvine.com) was a commercial for „Classic Duets“ „to be released“. That stems from November 2002. The latest release by Capitol called „Classic Masters“ is a mid-price resampling of 12 previously released tracks. Twelve tracks for one CD, no extras. While there are still tracks in the vaults, and recordings that are not on CD. Some Sinatra-Capitol albums are even missing from the present catalogue... Take a look at how other labels have celebrated their vintage artists‘ anniversaries in the past few years, and you will notice some vast differences. The music itself remains, of course, and after having been played on millions of turntables around the world for half a century, it still sounds as if recorded the other day. The world is still listening. That’s the story of Capitol Sinatra, and fifty years ago today, they started to write the first chapter. 20 musicians, an arranger-conductor, and a singer, recording the first four of what would become close to 300 songs. Rubin ‚Zeke‘ Zarchy (trumpet); Vincent DeRosa (french horn); Heinie Beau, Arthur ‚Skeets‘ Herfurt, Ted Nash, Leonard Hartman (saxophones/woodwinds); Mischa Russell, Harry Bluestone, Alex Murray, Paul Nero, Irving Prager, Murray Kellner (violins); David Sterkin, Paul Robyn (violas); Cy Bernard (violoncello); Ann Mason Stockton (harp); Bill Miller (piano); George van Eps (guitar); Phil Stephens (bass), Ray Hagan (drums). Hinweis: Alle 4 Songs sind als Bonus-Tracks auf der CD von Sinatras letztem Capitol-Konzeptalbum "Point Of No Return" erschienen. 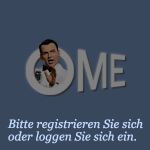 «« SINATRA: Live oder bloß Playback?